To encourage youth to stay active, Negaunee, Mich., Lodge No. 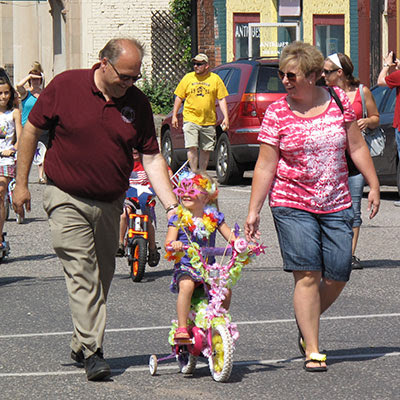 1116 used an Elks National Foundation Promise Grant to host a bike parade for local youth. 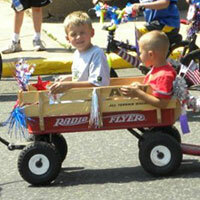 Kids decorated their bikes and rode them through town, accompanied by their families and the Elks. Even the smallest members of the community—pulled in wagons and strollers—joined in the day of sunshine and healthy choices. After the parade, Elks treated participants to lunch. The Elks also organized games and Drug Awareness activities to promote overall good health.